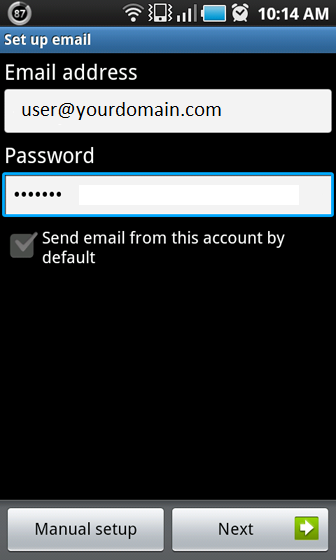 How do I setup email on an Android device? 1. Open the Applications menu. 2. Open the Email application. 3. 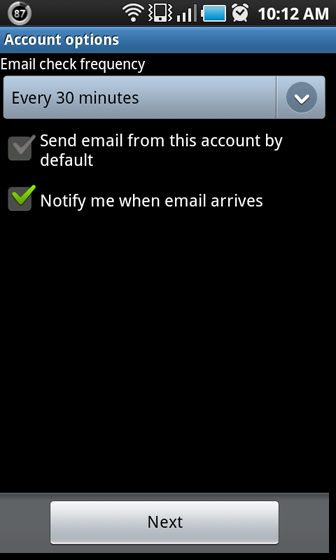 If you have already added one or more email accounts, tap the Menu button and then tap Accounts. When the Accounts screen appears, tap Menu and then Add Account. 6. 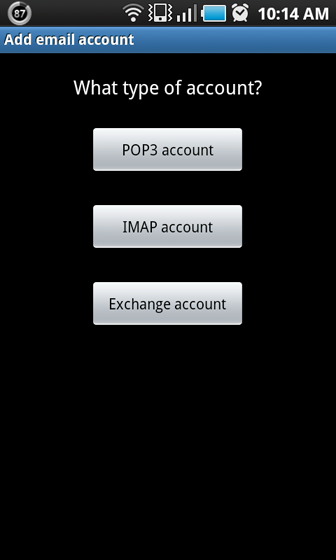 Choose IMAP or POP3 account. 7. Enter your incoming server settings. 9. 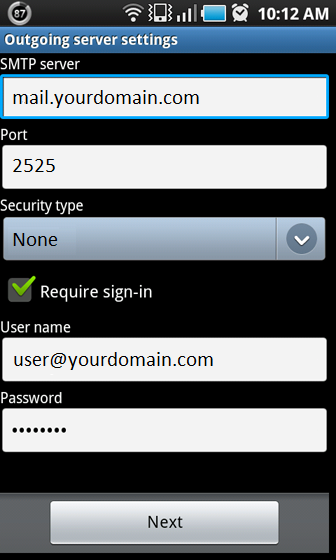 Enter your outgoing server settings. 11. Select how often you would to check for new email and tap Next. 12. 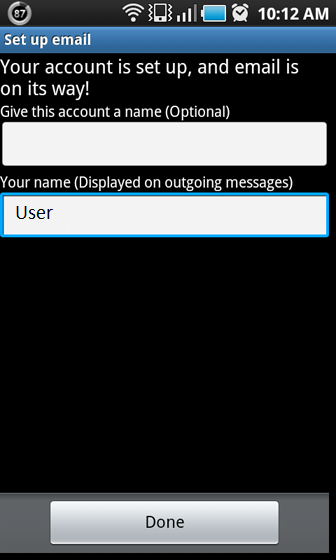 Type the name you would like to have appear on outgoing email, then tap Done.